After the signing of Garrett Richards to a two-year deal, the San Diego Padres had to make a move to clear up a roster spot. 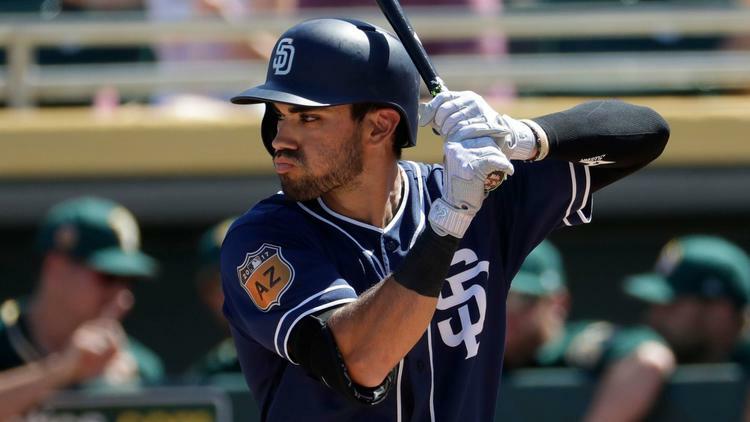 It was announced on Friday by the team that second baseman Carlos Asuaje will be designated for assignment and his spot will go to Richards, whose two-year, $15.5 million deal was made official. 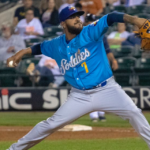 Initially acquired by the Padres from the Boston Red Sox for Craig Kimbrel in a blockbuster deal that also gifted San Diego with Manny Margot, Logan Allen, and Javy Guerra, Asuaje made an immediate impression with Triple-A El Paso in 2016, hitting .321/.378/.453 and being named to the Futures Game. 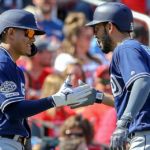 He got his first chance at real playing time the following year, as he supplanted Yangervis Solarte as the everyday second baseman and hit .270/.334/.362 batting line in 307 at-bats. To say that his production fell off of a cliff would be an understatement, to say the least. 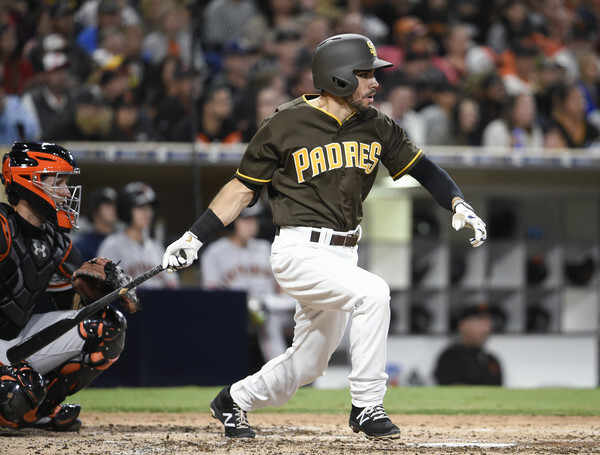 He was shuttled between El Paso and San Diego constantly (in one instance, he was sent down to Triple-A then called back up on the same day mere hours later), and his bat suffered for it. His OPS dropped from .849 to .522 in 2018 and his overall batting line dropped to .196/.286/.280 on the season, all while grappling with Cory Spangenberg and Jose Pirela for starting time. 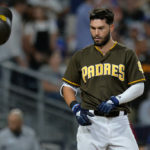 His presence was felt more in the dugout than the actual field, as his positive attitude and work ethic made him a popular figure with players like Wil Myers and Eric Hosmer. His “Motiv8” gaming company saw him constantly streaming Fortnite matches to many an endearing watcher. As to whether it was a detriment to his game is a question for later. Richards is set to miss all of 2019 after undergoing Tommy John surgery and is a lock to be placed on the 60-day DL when the season strikes. 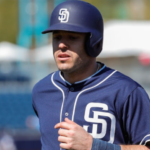 But, because there are no DL spots in the offseason, the Padres had to clear somebody’s name from the roster, and Asuaje got the call. 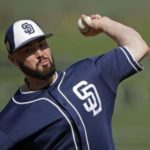 He will be stuck in baseball limbo for ten days as the Padres will either trade him, release him, or outright him to Triple-A. 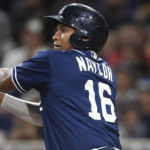 A Major League squad may bank on his youth and potential, but San Diego is hoping to stash him in the roster for depth purposes. It was easy to see this move coming from a long ways off. But why is Pirela still around? Is it front office incompetence? (not out of the question). 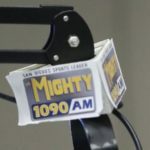 Was Pirela battling an injury last year? Or do they simply feel that he’s the best option at 3b if it comes to that? He’s 29, can’t field or run and was terrible last year. Why is this guy still around? No kidding Tom, it’s almost like Preller drafted him and just can’t let go. I think the league figured out his swing quite a while ago so there isn’t much left to do with him. Maybe he’s helping Hosmer with his Spanish though, I hear it’s getting better. But… there has to be some reason he’s on the squad… like Spangy for the last few years or Alexi before that. AJ does love his unsuper utility guys.